Six hundred participants in the 11th Annual Greensboro LUNGe Forward 5K Run, Walk & Rally will be receiving a pair of Bombas ankle socks in their goody bags. GREENSBORO, N.C. - Nov. 6, 2018 - PRLog -- Thanks to Bombas' generous give back policy and through the LUNGe Forward's collaboration with Downtown Greensboro, 600 additional socks will be donated to benefit individuals through the Interactive Resource Center and the Greensboro Urban Ministry. "It is truly wonderful that a gift for all of those who are stepping out in support of lung cancer awareness can also benefit others in need," said Emily Parks, Lung Cancer Initiative Board Member and co-chair of the Greensboro LUNGe Forward. "Thank you to Bombas for their outstanding give back policy, and thank you to the Interactive Resource Center and the Greensboro Urban Ministry for the critical support they offer our community." Proceeds from the Greensboro LUNGe Forward 5K Run, Walk & Rally benefit the Lung Cancer Initiative's local research, awareness, education and access programs across North Carolina. 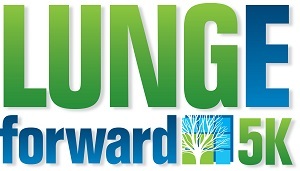 This year's event will be held on November 10 at Center City Park with activities beginning at 8:00 a.m. To register, donate, sponsor or volunteer, please visit https://www.lungeforward.org. Downtown Greensboro Incorporated (DGI) is an economic development organization focused on stimulating investment and activity in the center city. DGI is a non-profit entity and is led by a 24-member Board of Directors composed of volunteers representing specific stakeholders in the center city. Formed in 1997, the primary focus of DGI is to lead the development of Downtown Greensboro as a prosperous and vibrant urban center, memorable and meaningful for those who choose to live, work, play and invest here. For more information, please visit donwtowngreensboro.org.